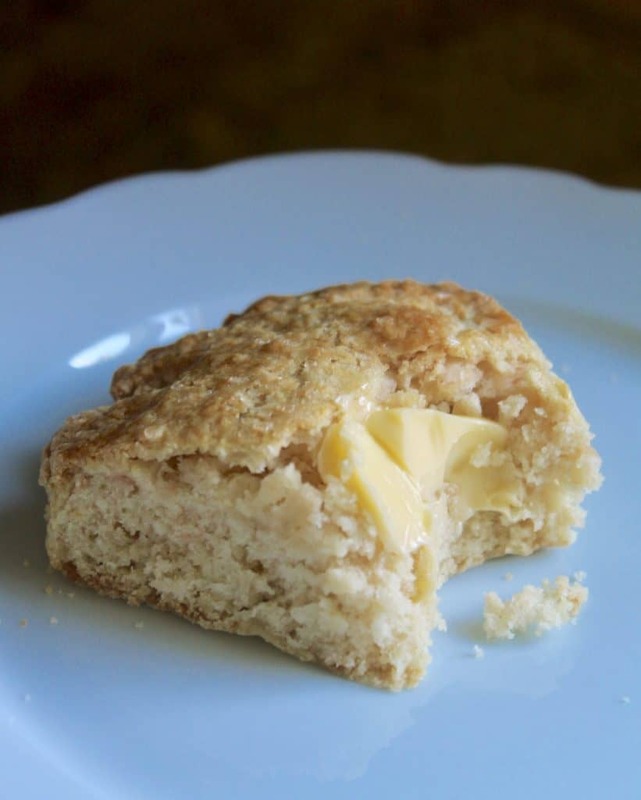 British Apple Scones are a nice change to the classic scone. 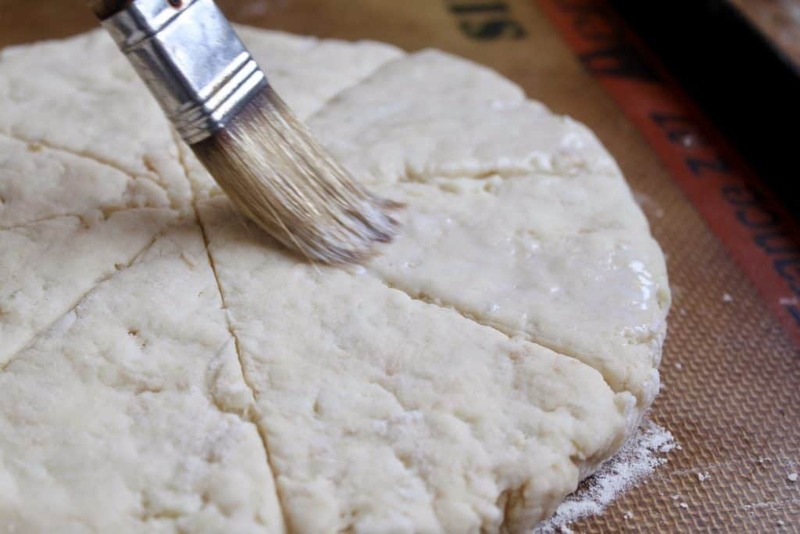 Made in a round, it requires no cutters and is very quick and easy to make. Do you love scones? I do, very much, but I usually make traditional afternoon tea scones. 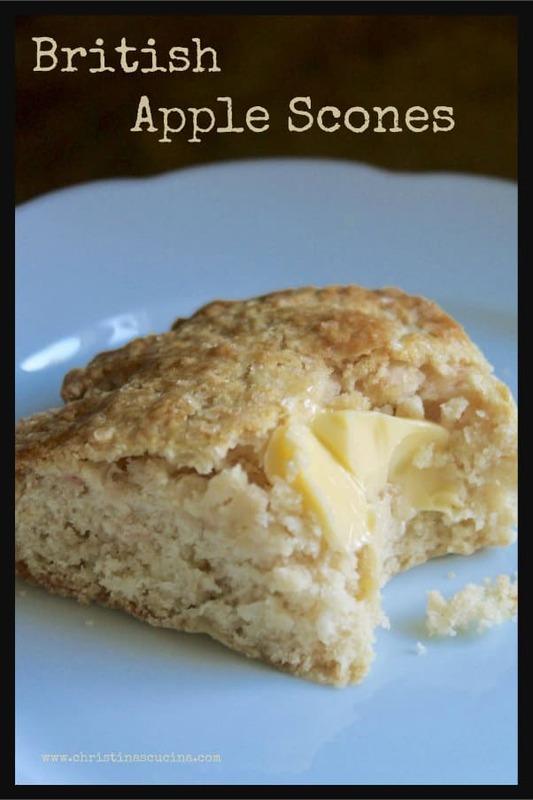 However, once in a while, I may make cream girdle scones or soda scones. 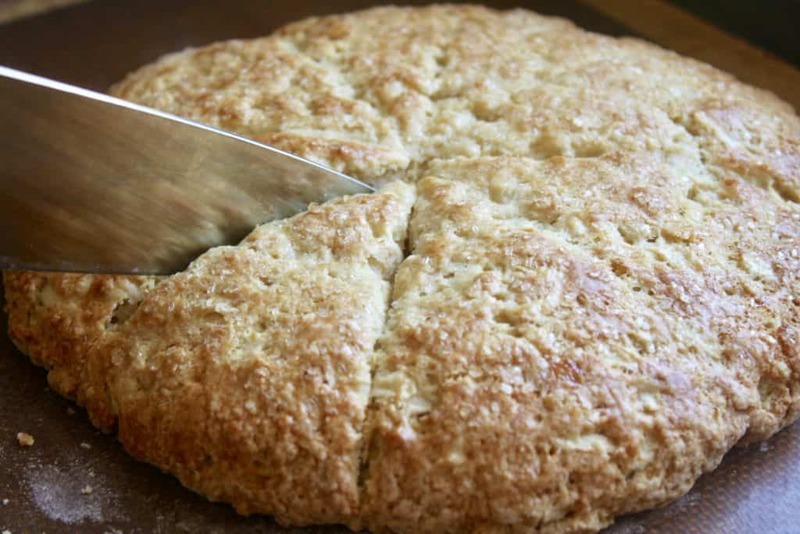 When I was visiting my Aunt Virginia in Scotland last year, I happened upon a recipe for Apple Scone Round in one of her recipe books. 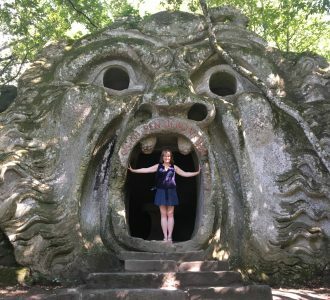 I’ve made it a few times now and thought I’d share with you, too! 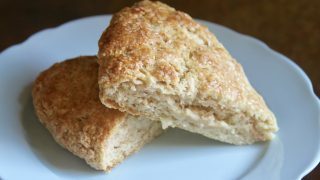 British apple scones are perfect if you want to whip up some scones quickly, because there’s no cutting and re-rolling involved. They taste wonderful too, so you won’t be giving up flavor. Just slather with some really good butter and enjoy them with a hot cup of tea! 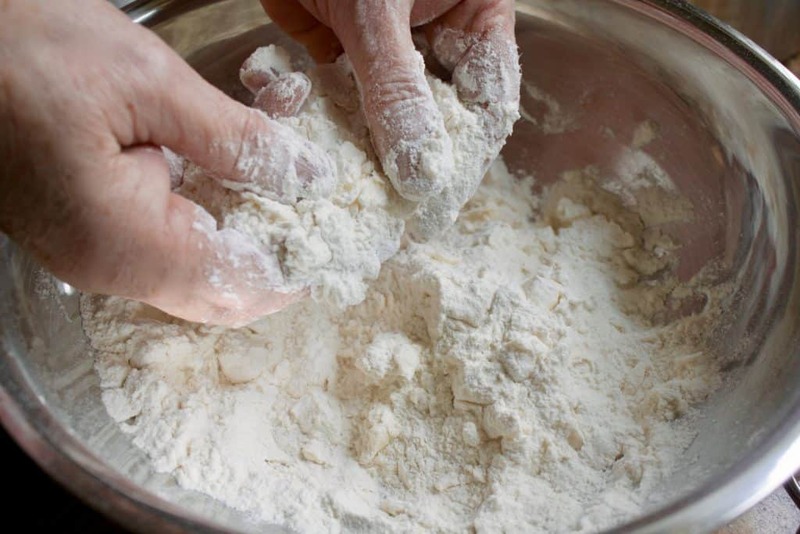 Start by sifting the dry ingredients together into a large bowl. 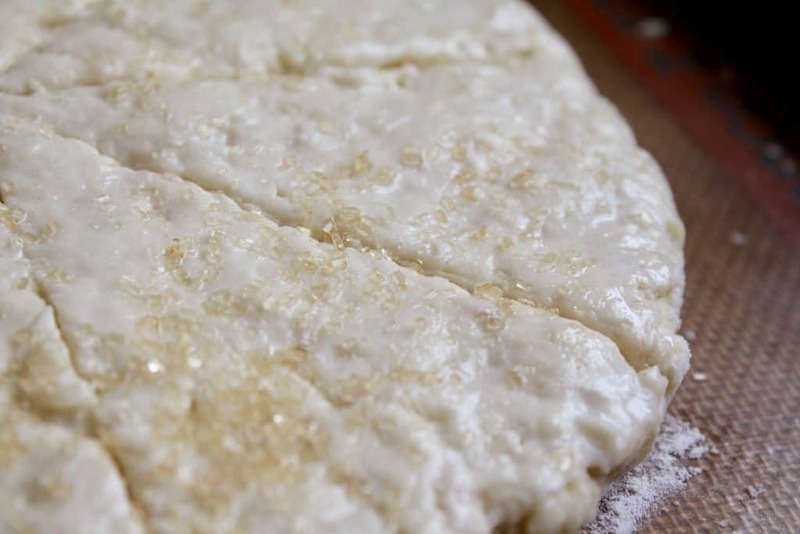 Next, rub the butter into the flour mixture. Add the sugar and grated apple. 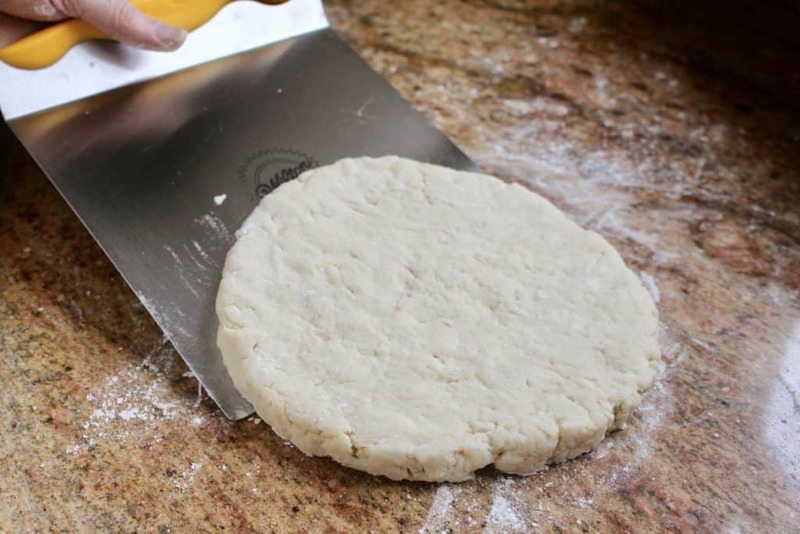 Roll out into about an 8″ (20 cm) round then move onto a cookie sheet lined with a silicone sheet or parchment paper. Score about half way through the dough, making 8 scones. Brush with some milk (or buttermilk). Next, sprinkle with some demerara sugar. Bake for about 20 to 25 minutes until golden brown. Move to a cooling rack. 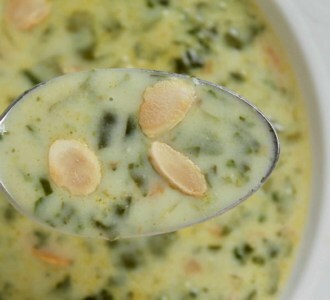 Allow to cool a little before cutting and serving with butter. 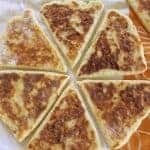 Let me know if you try this recipe, and what you think of it. Sign up for my free subscription below! 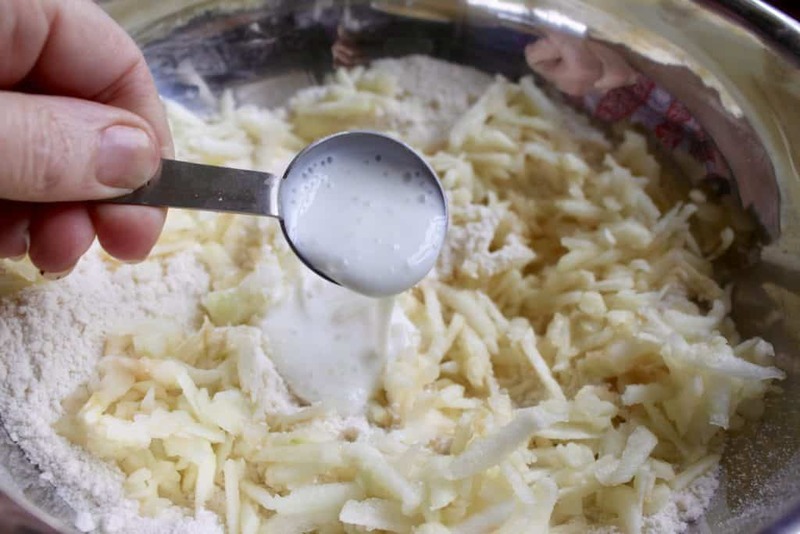 Add the sugar, grated apple and some of the milk until a soft dough forms. Don't add too much or it will be sticky. 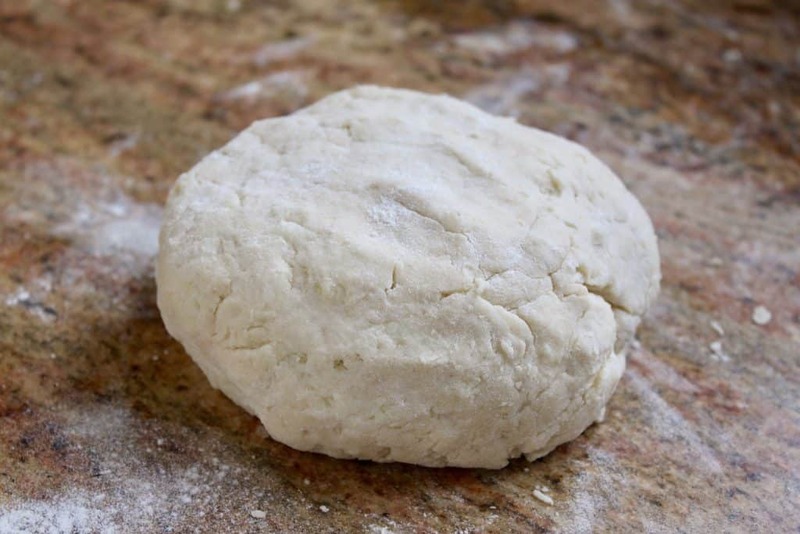 Roll out onto a floured countertop into an 8" round (20 cm). 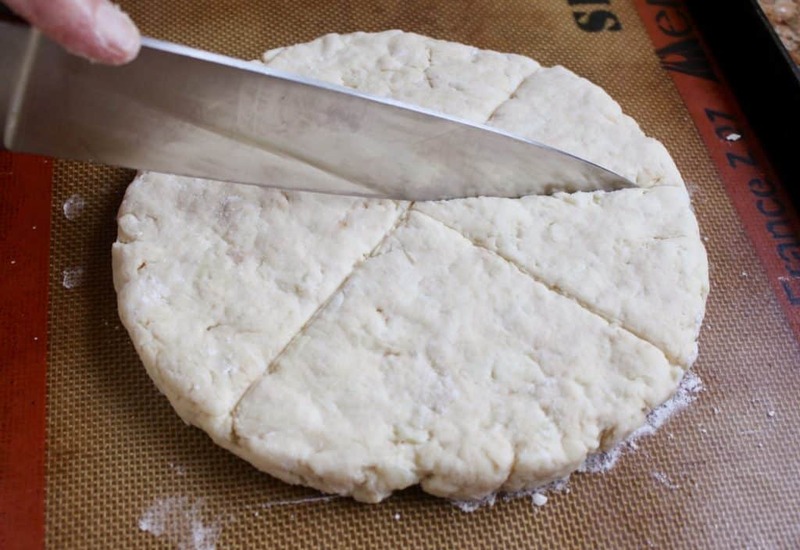 Score into 8 pieces with a knife (cut half way though the dough). 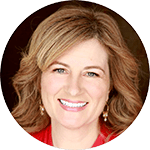 Place onto a cookie sheet lined with a silicone sheet or parchment paper. Those sound so good! I’d like one or four with a cup of tea! 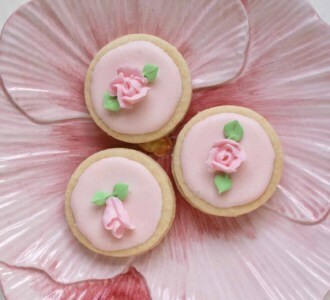 Yep, not too sweet, you’d love these! These sound fantastic Christina! 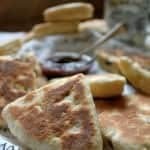 I like that the sweetness of a jam is baked in – just add good Irish butter! 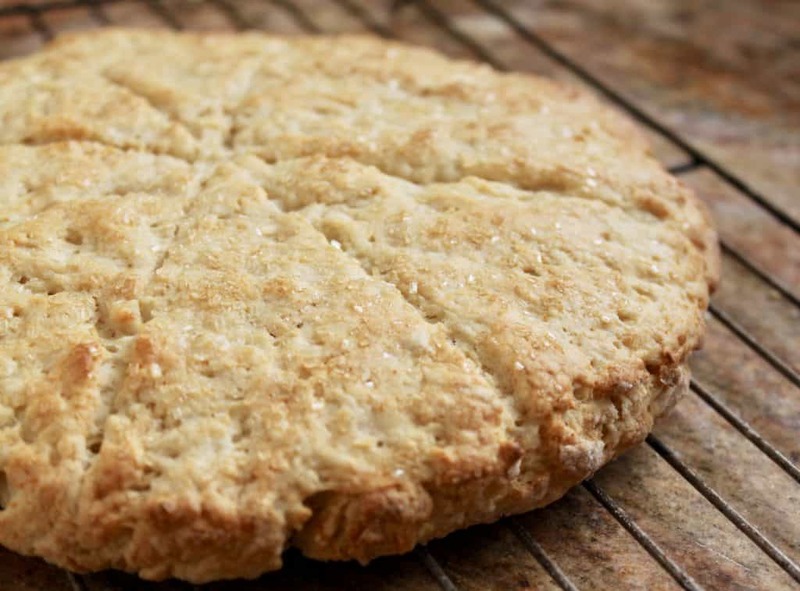 I thought I had made every type of scone out there… but I stand corrected. Apple scones on my list of things to do this week. 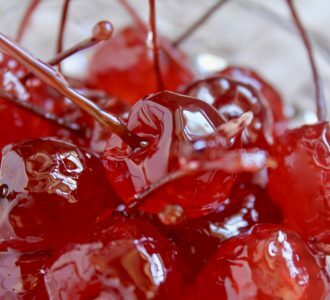 They look like they are simple to make and easy to devour! These look so easy and delicious, I’m going to try them this weekend. Could you also make them savoury? I’m thinking grated cheese. 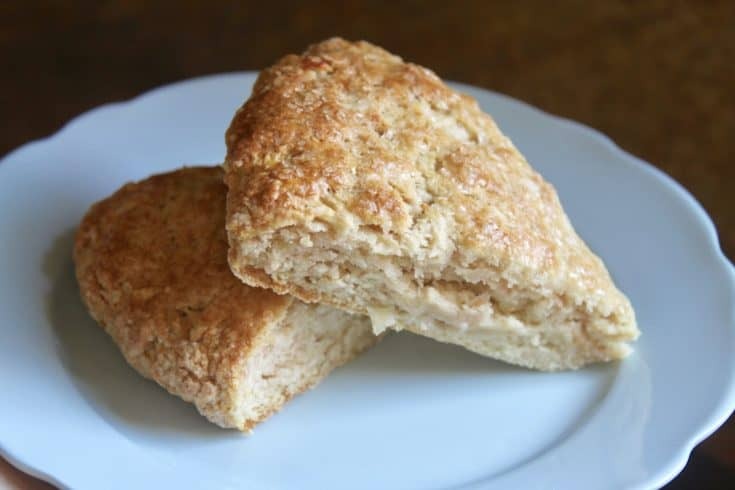 Yes, savory scones are a thing! 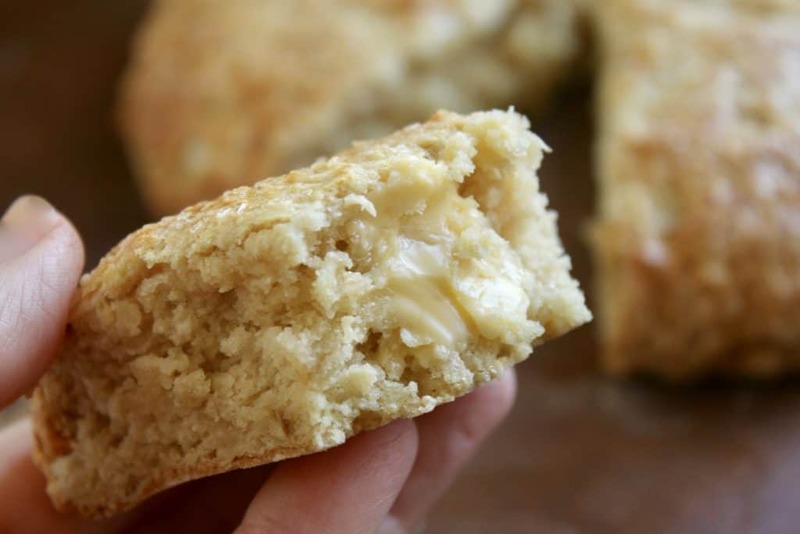 However, no need to revamp this recipe as my friend, Jill has a lovely cheese scone recipe! Excellent! Thank you Christina. 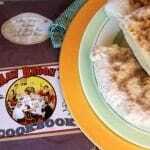 I would love to try both, do you have a link to Jill’s recipe? Och so it is, sorry Christina, it’s been a long day. I can almost taste these!! 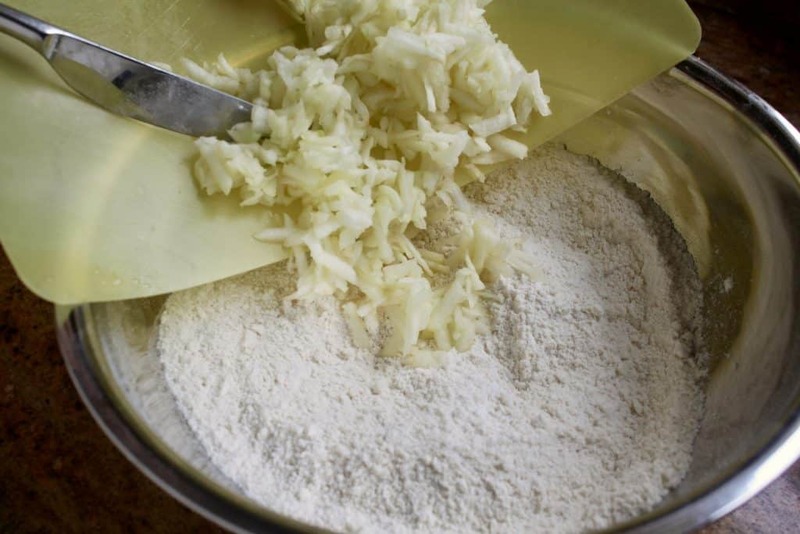 Adding grated apple to scones – what a brilliant idea! Love that the apples are grated versus diced finely. I will bet that they almost melt into the scone!! 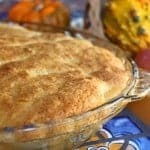 Yes, there’s a subtle apple flavor (no chunks) and makes them really moist, too. Hope you try them sometime, Nancy! I love scones and to be honest, make more savoury than sweet but LOVE that you’ve added apple to them. They look super, Christina. Great for the season, too. 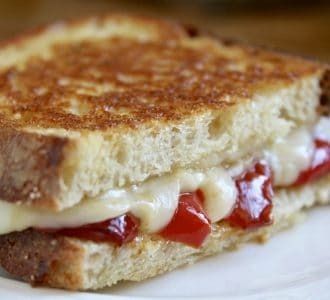 ooohh yum! I love scones and these are totally my speed. Love those step-by-step photos — makes the recipe so easy to follow. Thanks so much, Valentina! I am very visual, so I always like lots of photos, too!